Alfa Consulting attended on September 1st and 2nd the first Digitalization Summit held by Cordence Worldwide alliance in Amersfoort, the Netherlands, where senior executives and young professionals from all over the world worked on sharing service offerings with regard to Digitalization. 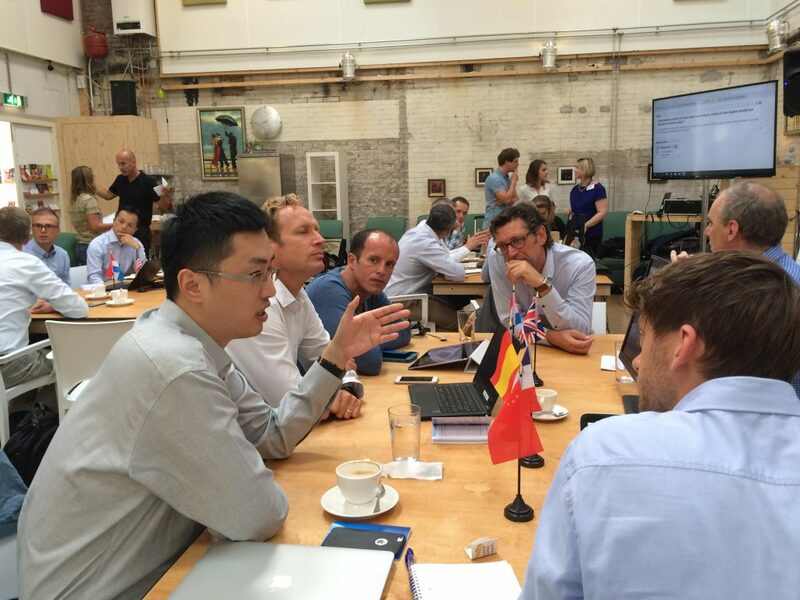 During the night of 1 to 2 September, the offices of Cordence partners around the world – in the U.S.A., China, Singapore and Australia – worked to enhance the data from the perspectives of the different markets through a ‘Hackathon’. One of the modules of the Summit was listening and debating about the “Voice of the customer”, the opinion of some of our customers on future needs on consultancy offers in digital business. Alfa Consulting had the opportunity to check the alignment of its digital offering with other consulting members’ operating in more mature geographies in terms of digitalization, and to build commitments in order to access additional contents with which to make a much richer digital offering. In the coming months, Alfa Consulting will continue to hold meetings with current and potential customers, in order to jointly explore Alfa’s digital catalog, and to establish lines of collaboration to help increase the competitiveness of organizations in the new digital environment.